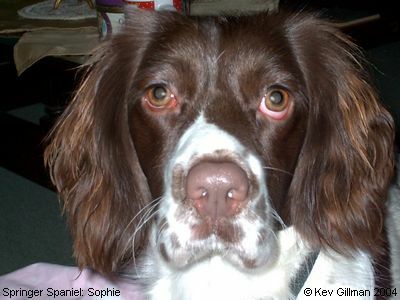 This very pretty Springer Spaniel, with the neatly groomed ears is named Sophie. Her owner, Kev, says “she has the most enjoyable attitude and is very clever too, and will always get anyone's attention” which I can well imagine! 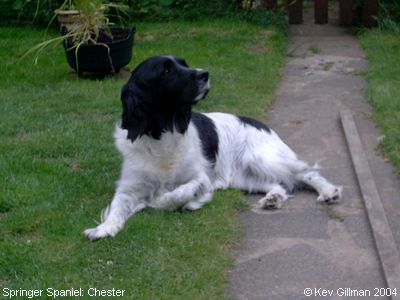 She was adopted by Kevin and his wife when she was 4 months old, to join Chester (below), then aged 5. He's handsome, and he knows it! Chester (now aged 7) is a proud show breed, turning everyone's heads when he's out and about!